I just got this from Barnes and Noble, I am going to start it this weekend. I stumbled across this old Amazon review of Fame by the noted Cosmotheist Steven Romer, who correctly writes: "This is Backbone-of-a-great-library stuff". Eye-opener about a courageous man and eccentric genius. This is a rare book that no bookshelf should be without. Each page removes the cobwebs from your vision, removes the conditioned prejudice and hate from your judgments of what you will see in the end to be the life of a truly great man. A man whose greatness is in the tradition of the men who signed the declaration of independence. he is the real deal. An unsung hero of suppressed truths and oppressed peoples (of a currently most unpopular flavor). You do not have to agree with everything he says to see that he is a great lover of truth, civilization, righteousness, justice, and all other good and natural things. Reading about William pierce is like reading a book about the building of the pyramids--because it is about a nagging, unbelievable, inscrutable aspect of our world That is both foreign yet strangely familiar. That aspect is racism--the widely held ideas about racial differences espoused by various racial groups. This is Backbone-of-a-great-library stuff. buy it for its tabloid-style controversial appeal, keep it forever for its universal truth and beautiful exposition of an unusual, controversial, and certainly courageous life. From a purely objective standpoint, it does not get more interesting or worthwhile to read than this, folks--whatever your background or political views. Now that is one great review of one great book! I read The Fame of Dead Man's Deeds over ten years ago, and still have the book. I will read it again. 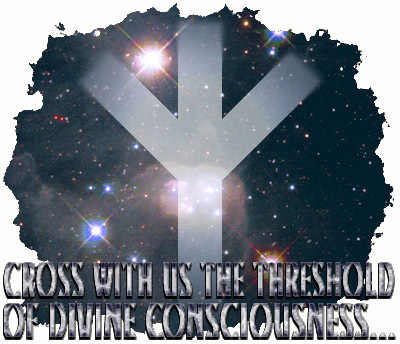 C.E. Whiteoak wrote: Now that is one great review of one great book! I read The Fame of Dead Man's Deeds over ten years ago, and still have the book. I will read it again. Of the five copies donated to us recently by the author, Dr. Griffin, signed by him, we have just one remainig. Want it? I have someone else who'll pay $100 if you don't. It should go to someone like you who will keep it in the family. https://nationalvanguard.org/2018/05/th ... t-contact/ Fame will be available soon as a CD. 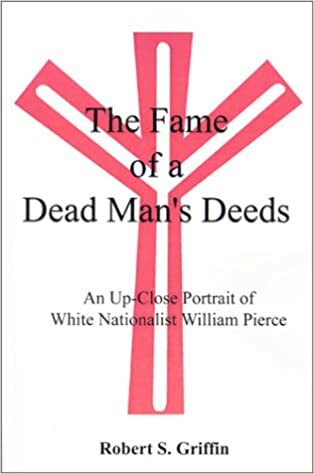 TODAY WE PRESENT THE FINAL installment of our audio book series based on the biography of William Luther Pierce, The Fame of a Dead Man’s Deeds by Robert S. Griffin, read by Vanessa Neubauer. Today’s chapter, entitled “Final Contact,” has the author, Robert S. Griffin, reflecting on Pierce the teacher, Pierce the radical, and Pierce the man as he has known him. Professor Griffin, on his last day with Dr. Pierce, asks him what he thinks his legacy will be — what purpose his life has served — and what form the future he helped to shape will take. And what part, the author asks, did Dr. Pierce’s sense of responsibility play in what he accomplished? We thank Professor Robert S. Griffin for his multiple kindnesses and assistance in making this project possible. We thank you, our readers, for being willing to explore the life and ideas of a man whom the Establishment has derided, attacked, and condemned as “evil.” And we thank Miss Vanessa Neubauer for her hard work in recording this audio book.